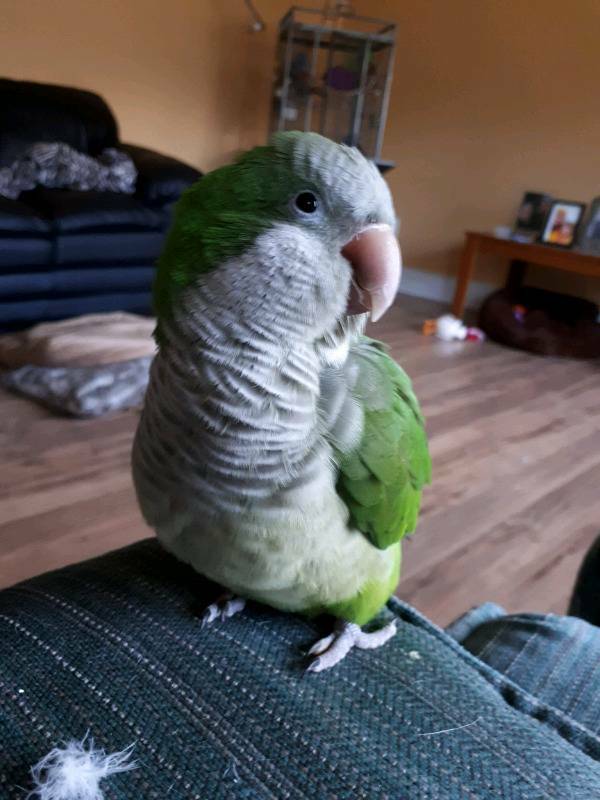 This is my Quaker parrot his name is Bud. He got out Saturday aug 4th. He was still around Dundee dr and Macdonald . He was still answering me just before supper time today Sunday, but flew again towards main st. Havent heard him since. Please if you think you hear a different sounding bird or see him call asap. If he is caught and returned there is a REWARD.